Field conditions are currently wet and we are digging as quickly as we can before the next round of rains. We expect to start shipping on time starting September 17th and will continue until all orders are shipped through October 12th. Our goal is to have all regular orders shipped before our October ship dates if possible except for those who have requested October ship dates. 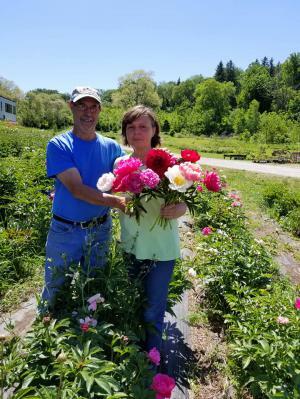 Local pick up of peony roots is Saturday, September 22 from 10 - 5.